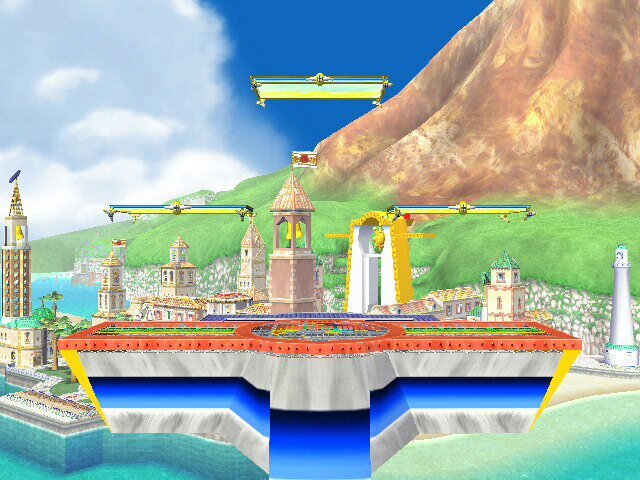 An alternative take on Brawl's Spear Pillar catering to competitive and casual players. Comes in three versions: Empty, No Hazards, and Hazards. SSS assets included. 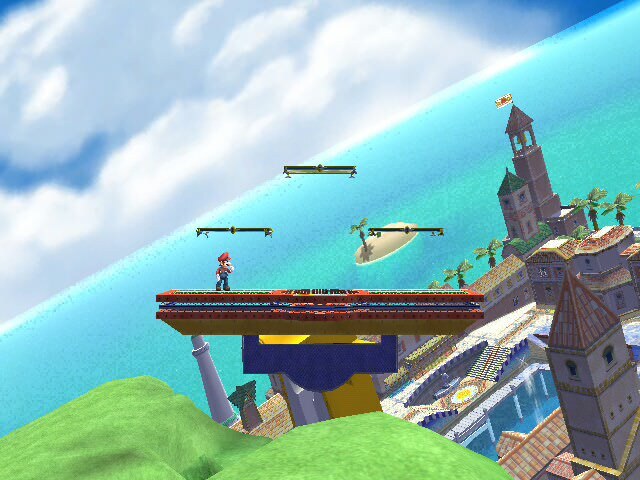 - All versions: The cavern portion of the stage is gone. - All versions: Pokémon models imported from Pokémon Sun & Moon. - Extra Versions: Has versions for Giratina & Arceus. 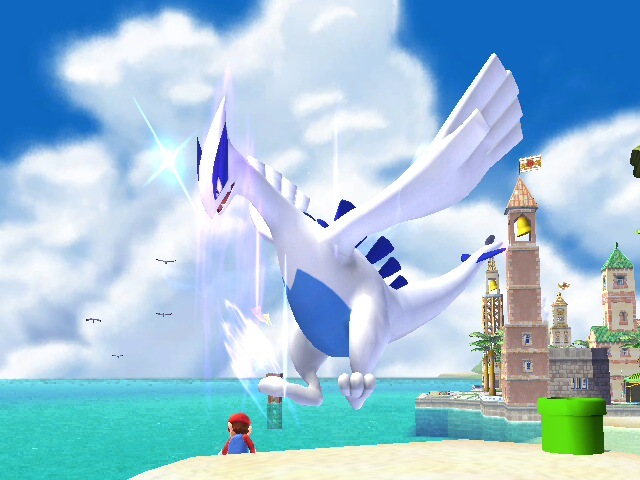 - No Hazards: Legendary Pokemon appear in background and do not produce hazards. Delete tengan.rel in module and replace TENGAN_1,2, & 3 in melee with the desired version files. 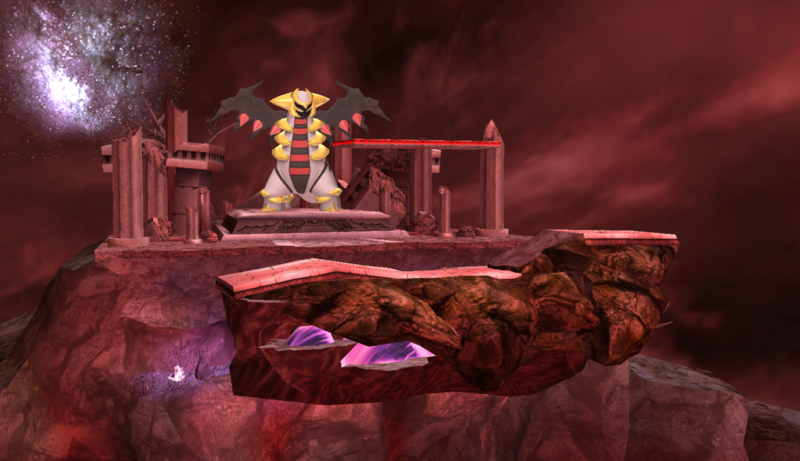 Giratina's Spear Pillar (Sun & Moon) by E-scope12 with credit to RandomTalkingBush for the script to rip the X/Y models. 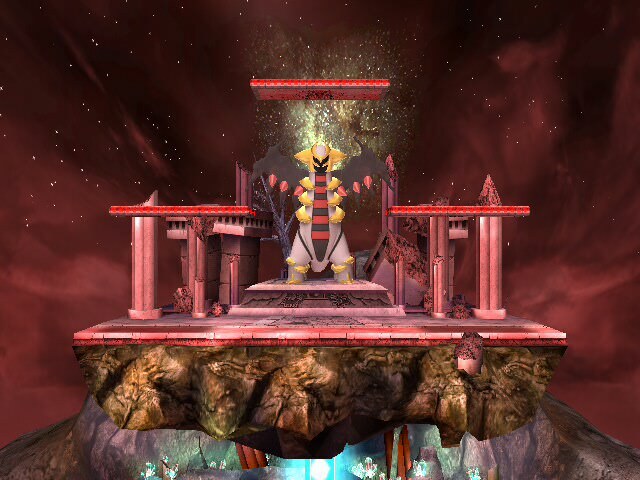 Giratina can jump on the stage at anytime. Model ripped from Pokémon Sun/Moon. Animations from Pokémon Sun/Moon. Has 2 forms. 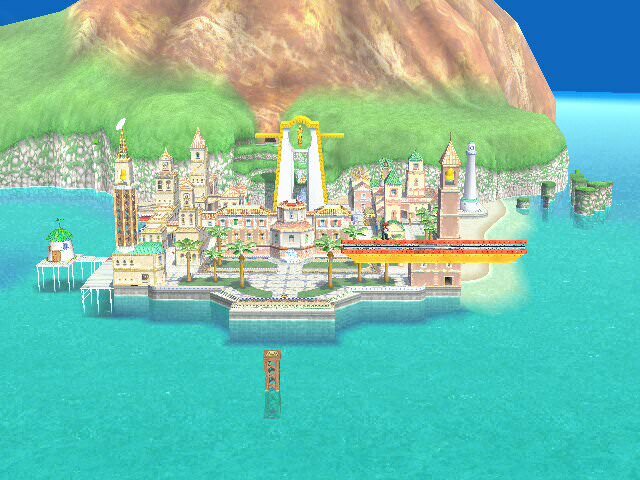 Delfino Plaza is now a legal reskin! 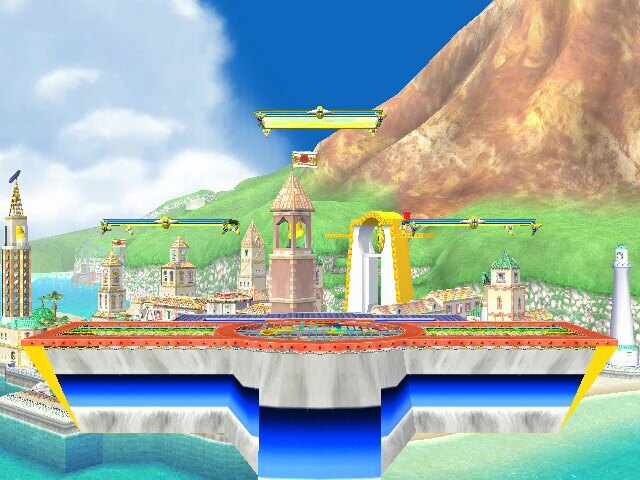 Delfino Battlefield, a 1:1 reskin of Brawl Battlefield & PM Battlefield with the same camera, blastzones, spawn points, collisions, and so on for tourney legal battles. Comes with Animated Background, & Stationary Versions for Both PM & vBrawl Versions. I imported the Tao Trio from Pokémon Sun & Moon and put them on Spear Pillar. Comes with Hazards, No Hazards, & Empty versions. Credit goes to RandomTBush for the Pokémon Sun & Moon Models & Animations. It comes with Hazards, No Hazards, & Empty versions. I imported Spear Pillar from Pokémon Diamond, Pearl, & Platinum. And a Shiny version for each of the above. Spear Pillar returns! Now in a 1-1 for Smashville [3.6]. This comes with 5 different Legendary Pokemon. It's compatible with Smashville. It comes with a .rel to port over Spear Pillar. 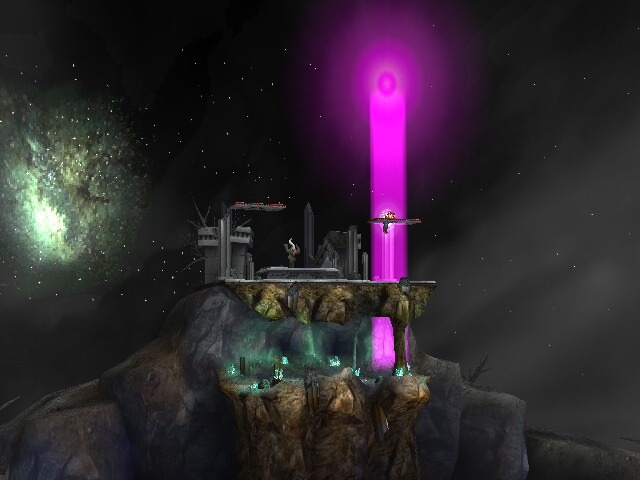 I combined 3 Spear Pillars with the Creation Trio to make Antimatter-Time-Space Temples. Goes over Spear Pillar with a .rel and comes with Shiny versions. Each Legendary Pokémon switch places in each version. Spear Pillar is now a legal reskin! 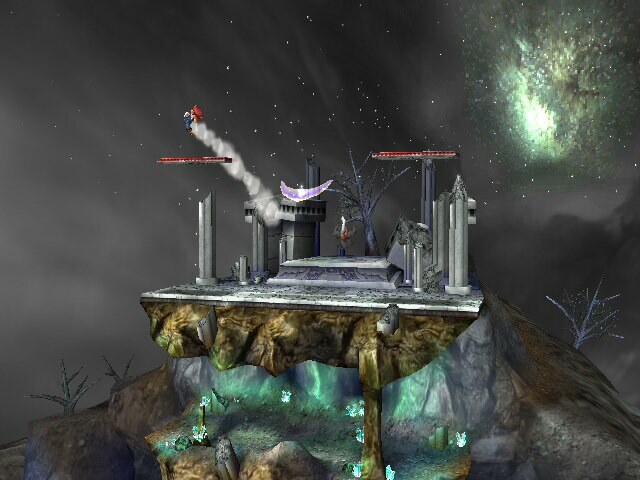 Speartlefield, a 1:1 reskin of PM Battlefield with the same camera, blastzones, spawn points, collisions, and so on for tourney legal battles. Has versions for palkia and cresselia too. 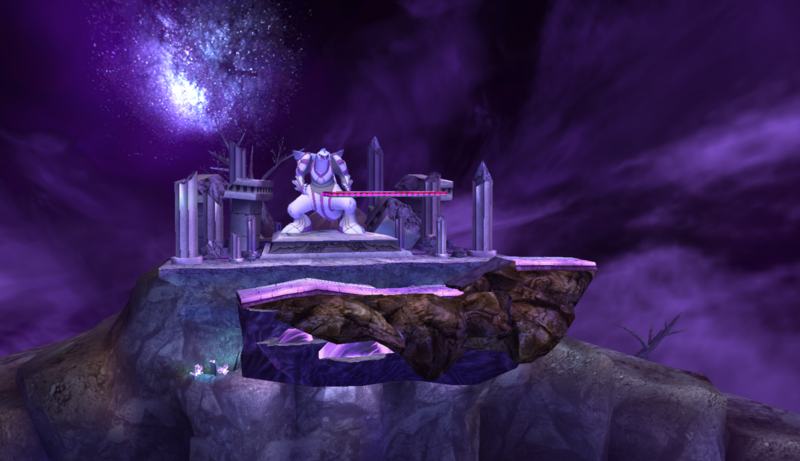 Big thanks to E-Scope12 for the vertex color porting and credit to SmashBroski and Tybis for their caveless spear pillar used in this mod. Spear Pillar returns! Now in a 1-1 for Battlefield [3.6]. This comes with Legendary Pokémon and Shiny versions. It's compatible with Battlefield. It comes with a .rel to port over Spear Pillar. UPDATE 7/18/2018: Added vBrawl Versions of Speartlefield. 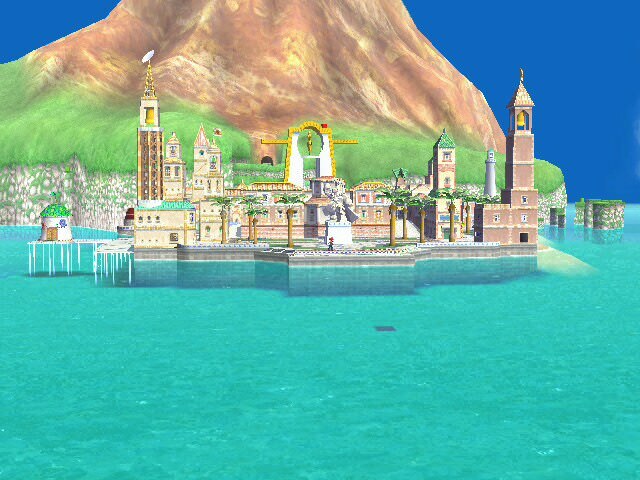 Delfino Plaza returns! Now in a 1-1 for Smashville [3.6]. This comes with animated background and stationary version. It's compatible with Smashville. 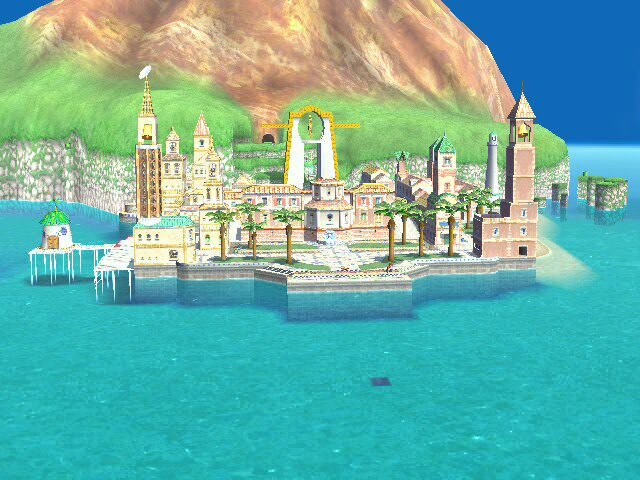 It comes with a .rel to port over Delfino Plaza. Update 6/8/2018: Changed the textures of the balloon to a shine sprite. 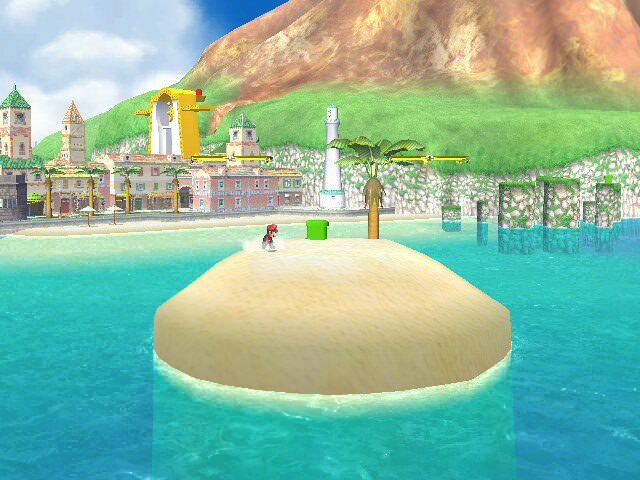 Delfino's Secret Plaza V2 by E-scope12, davidvkimball, MarioDox, WorseDoughnut with credit to PMDT, davidvkimball, MarioDox, WorseDoughnut, SOJ and DukeItOut for the idea. 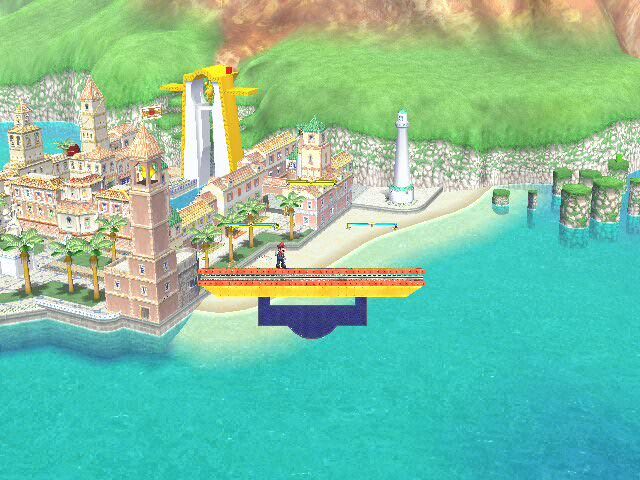 Delfino's Secret Plaza Version 2 is a 1:1 of Project M 3.6's Delfino Secret. 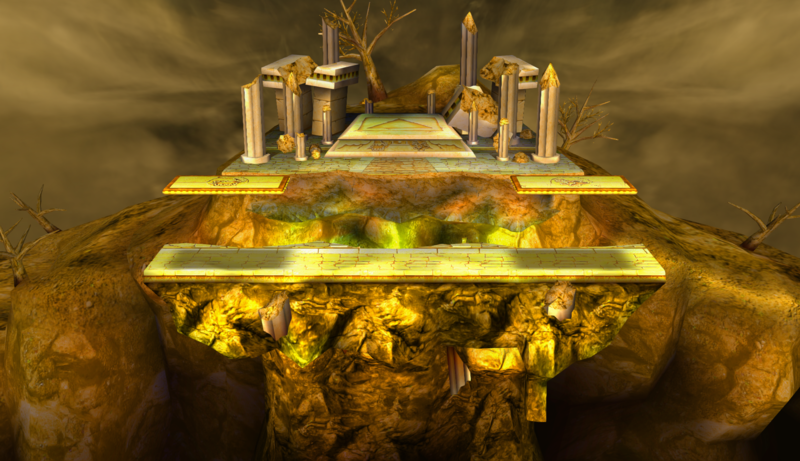 Credit to davidvkimball, MarioDox, WorseDoughnut, SOJ, & DukeItOut for the LTE stage. It comes with Brawl Styled Versions and Smash 4 Styled Versions. A mod that features a lot of Legendaries. Textures by me & stage by me and credit to m3cha. 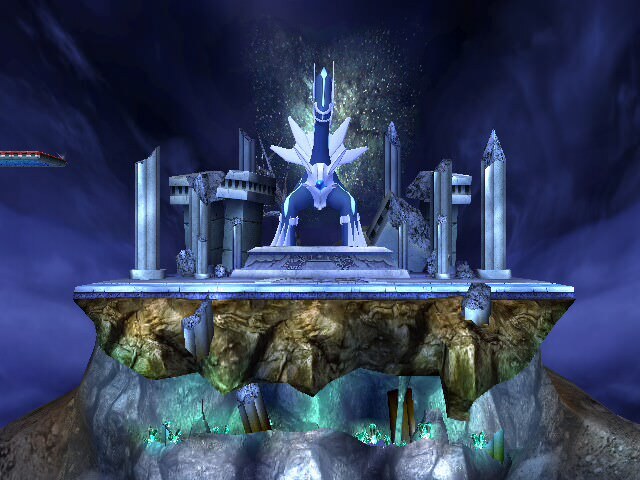 I imported Darkrai from Pokémon Sun & Moon and put it over STGTENGAN_1/2/3 Spear Pillar and made some color edits to Spear Pillar and lighting. Project M Gen V Spear Pillar by E-scope12, Hope4NeWDaY with credit to Hope4NeWDaY, RandomTBush for the Pokémon Sun & Moon Models. 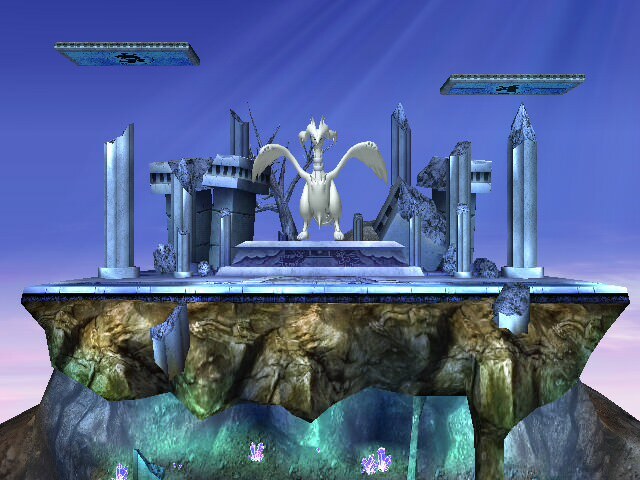 Project M Spear Pillar by Hope4NeWDaY with the Gen V cover pokemon. 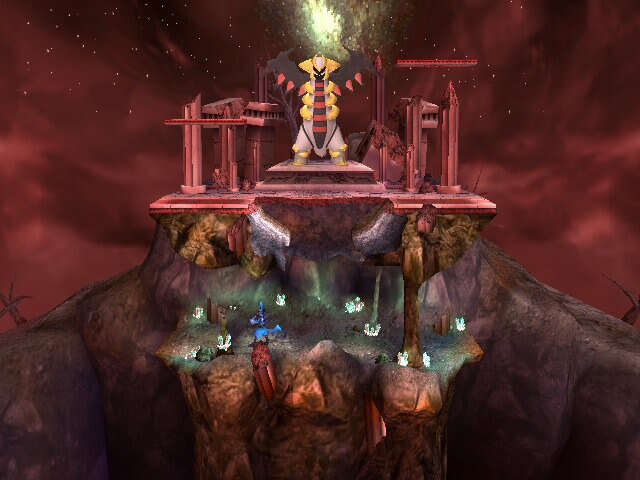 Each stage has alternate sky backgrounds to match the Pokemon. I imported the Unova Legendaries from Pokémon Sun & Moon. Updated 5/3/2018: Added the Lake Trio and Changed the character lighting for each version to be gray. 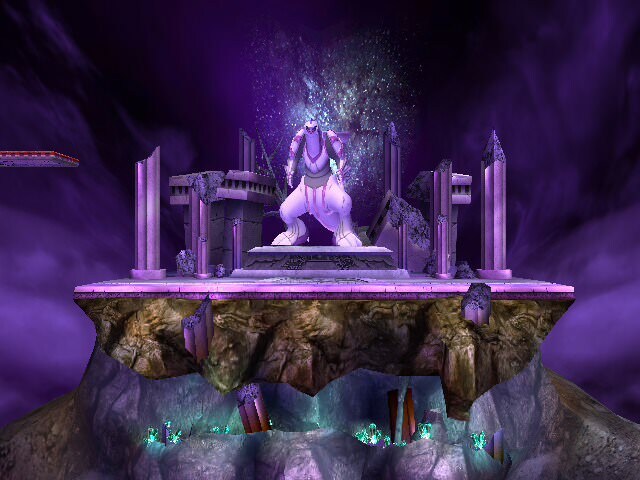 Project M Gen II Spear Pillar V2 by E-scope12, Hope4NeWDaY with credit to Hope4NeWDaY, RandomTBush for the Pokémon Sun & Moon Models & Syvkal for the PM Gen II Spear Pillar stage. 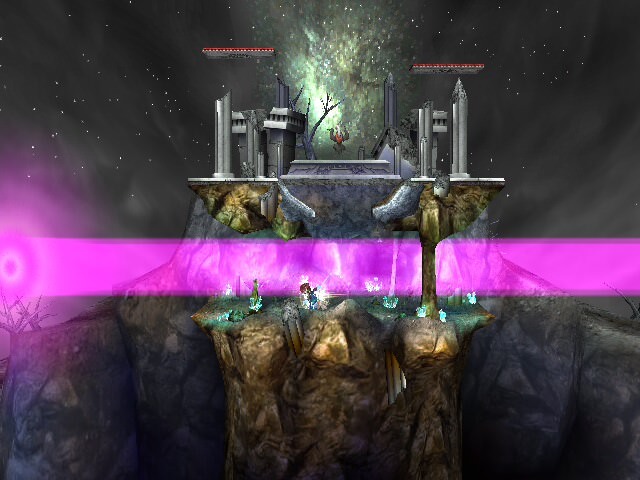 Project M Spear Pillar by Hope4NeWDaY with the Gen II cover pokemon. 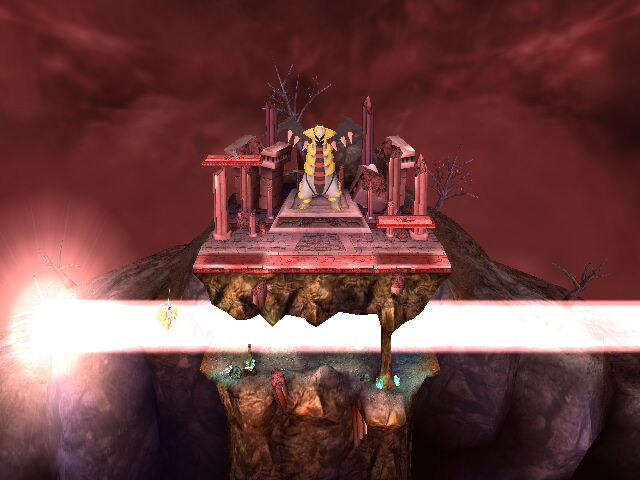 Each stage has been appropriately colored to match the Pokemon. I imported the Johto Legendaries from Pokémon Sun & Moon. Updated 5/24/2018: Changed the tints for Ho-Oh & Lugia so that they have Gold & Silver tilts. Updated 5/5/2018: Added the Lake Trio and Shadow Lugia to go over STGTENGAN_3. 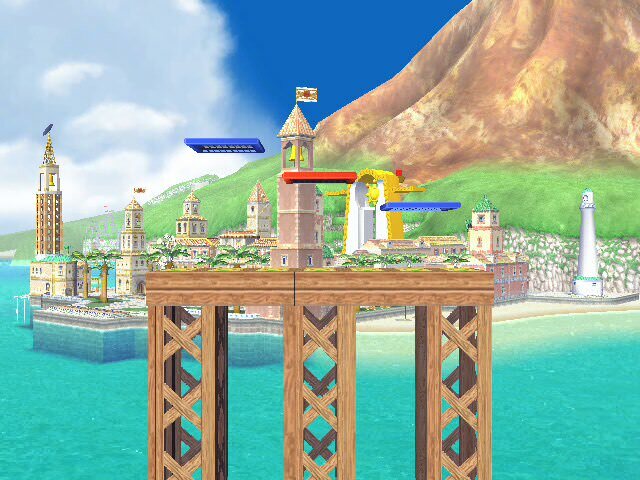 This stage is made to fit every version of Project M.
There may be Aesthetic updates in the future. - The Flying Platforms don't drop you off to diferent places anymore. 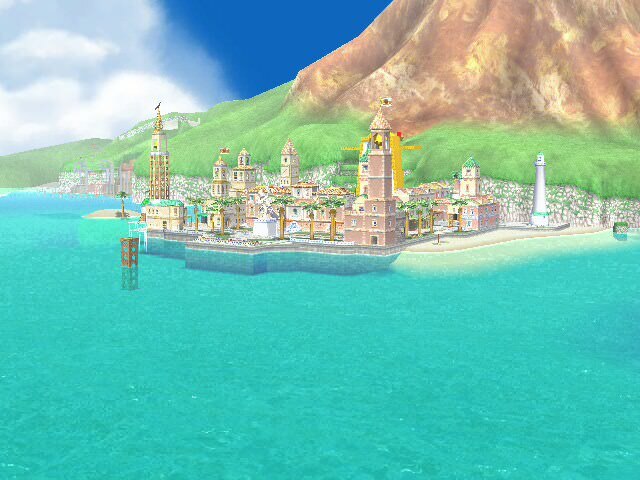 - A .rel for Delfino Plaza is included. - It can go over Jungle Japes without a .rel. - The Buildings do not vanish. 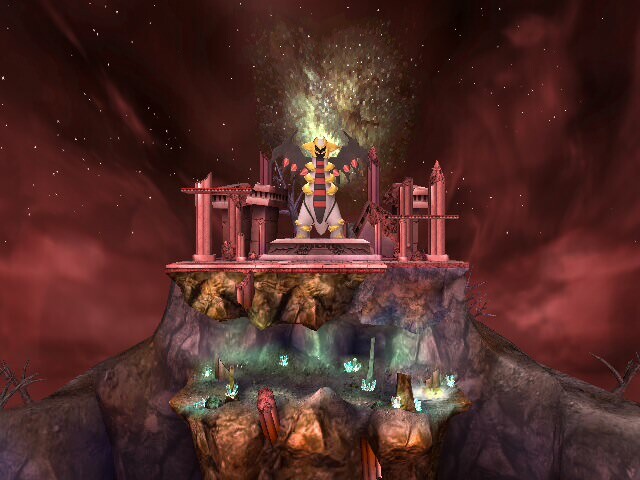 - Uses the Grand Pianta Statue & the Red Canon to Pinna Park. - Added Piantas & Toads in the background. - Added Jungle Japes slots. 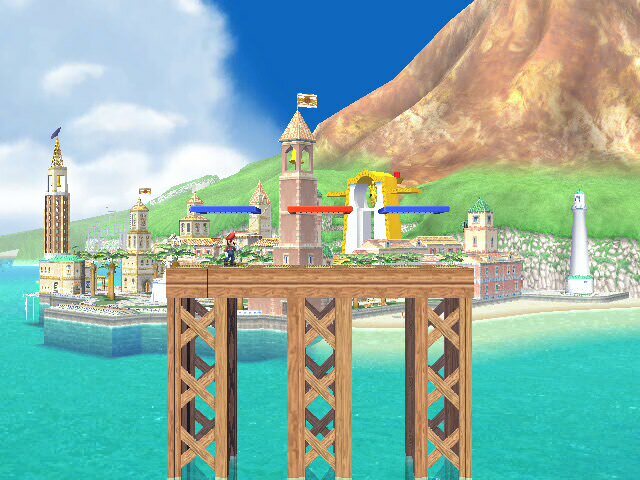 - Platforms still change in Delfino Plaza slot. 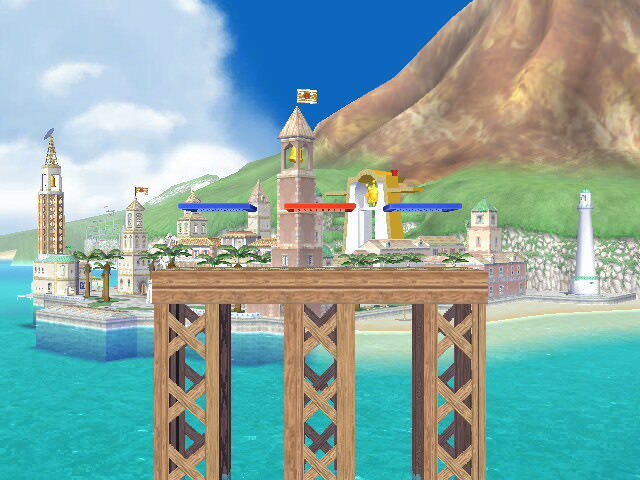 - Models imported from Fortune Street Wii & Super Smash Bros. for Wii U. - The main stage has received a size increase. - The rock cave no longer has a collision and is now pushed to the back. - All of the lasers and momentum changing, stage shifting, mind binding, rage inducing affects are now gone. 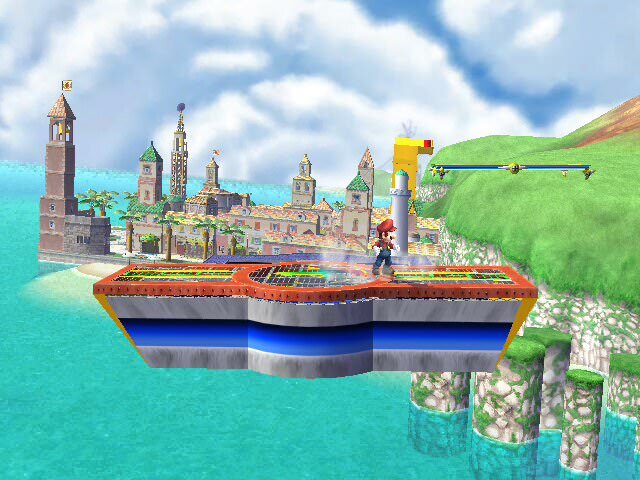 - The Blast Zones/Death Boundaries has been increased to fit Project M 3.6's Boundaries increase. 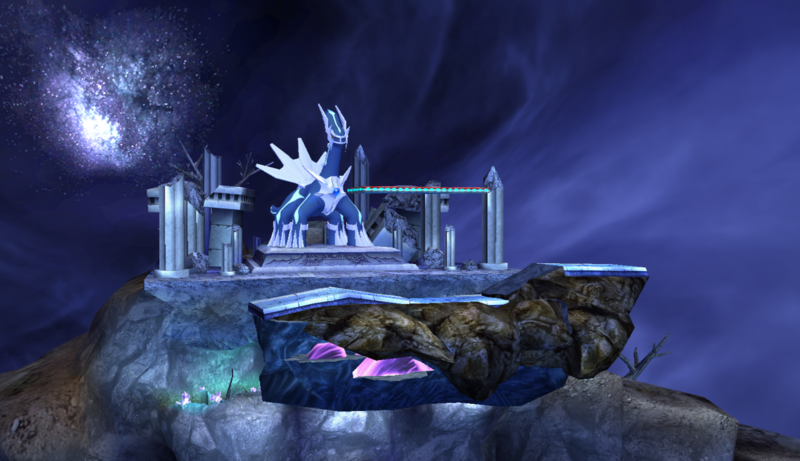 - Primal Dialga is now added to the Dialga Spear Pillar pack. 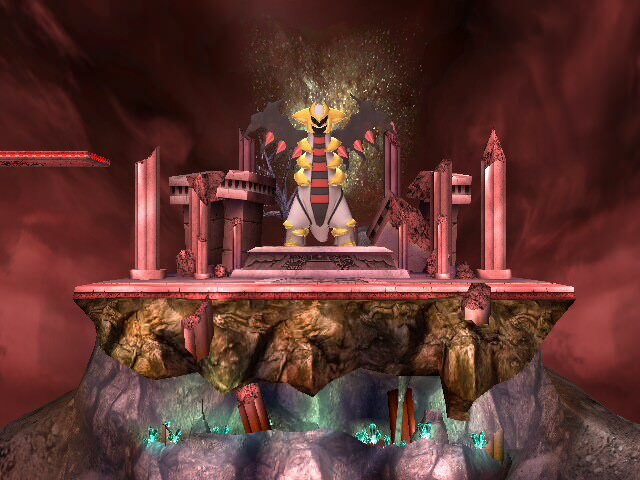 - Darkrai is now added to the Cresselia Spear Pillar pack. 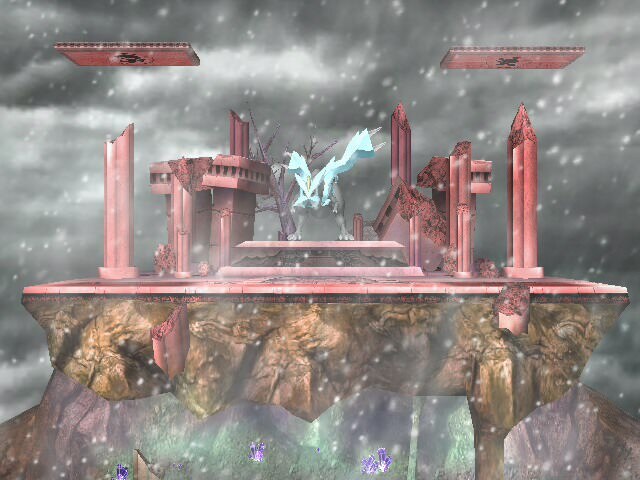 - Darkrai is now added to go over Spear Pillar. 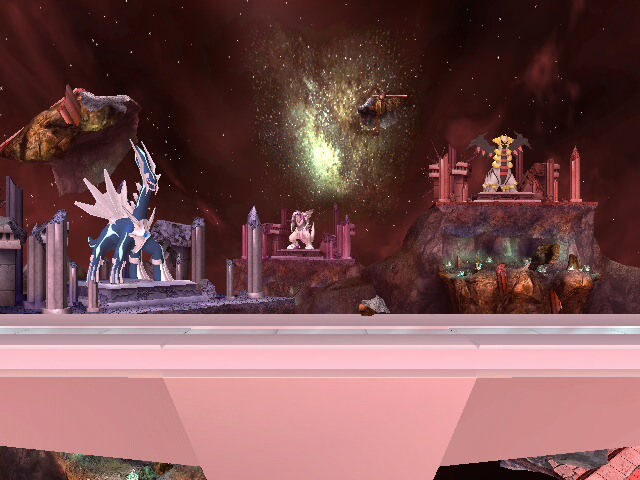 - Cresselia is now added to the Darkrai Spear Pillar pack. 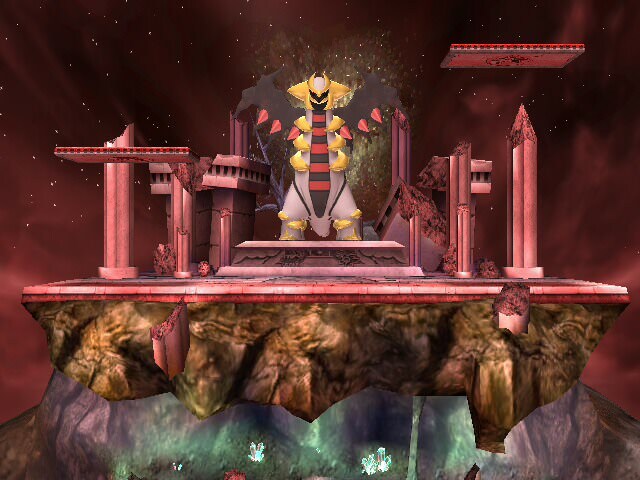 - Giratina is now added to the 3rd Spear Pillar pack with both forms. 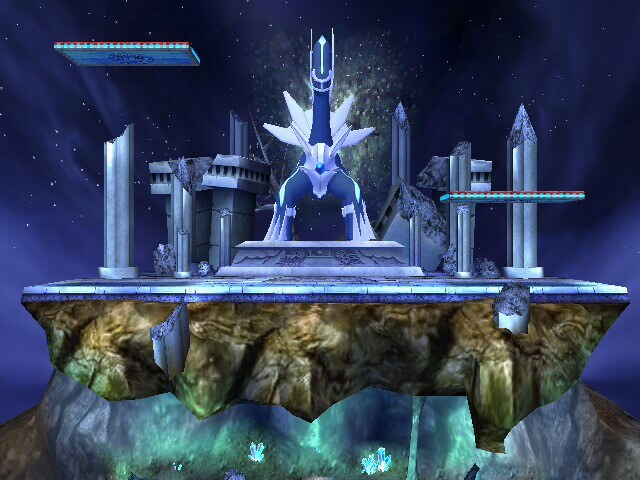 - Arceus is now added to go over Spear Pillar. 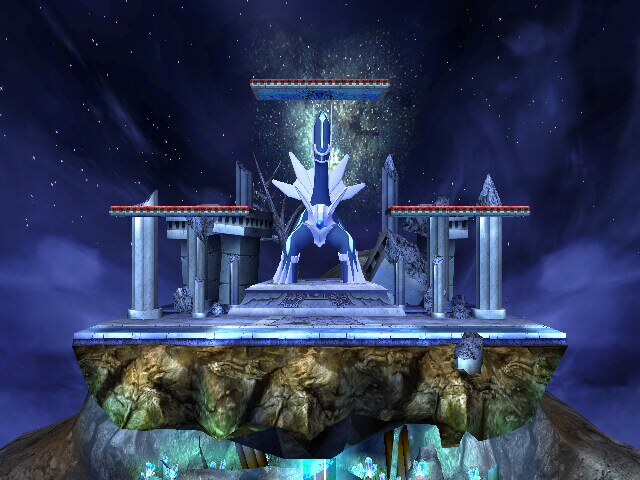 - Legendaries no longer attack you nor do they step onto the main stage. - All Pokemon models are imported from X/Y/OR/AS/Sun/Moon/Ultra Sun/Ultra Moon. - Shiny Versions Included in the set. 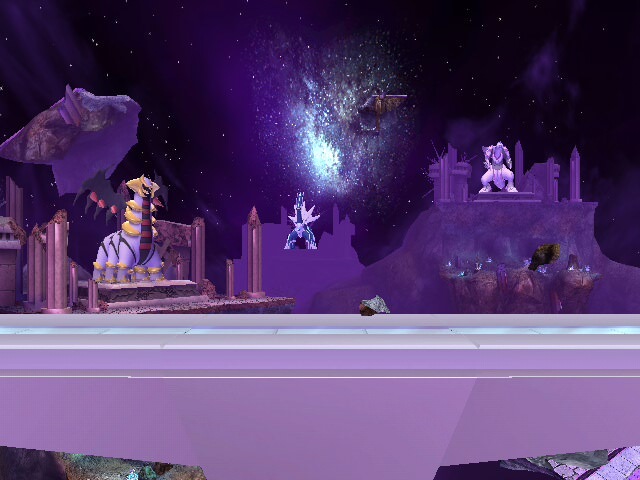 - Updated Palkia's Lighting to match the color to purple. - Update Arceus's Lighting to tone down the Yellow for the character lighting. Credit goes to RandomTBush for the Pokémon Sun & Moon Models & Animations. It comes with Hazards, No Hazards, & Empty versions. It also comes with versions with Giratina in it's Origin Forme. It also includes SFX for each Legendary Pokémon. 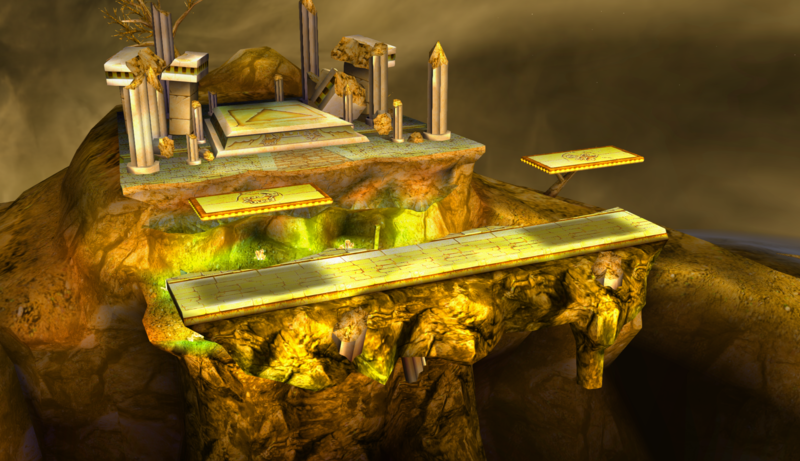 Embedded Tower (HGSS) by E-scope12 with credit to RandomTBush for the Pokémon Sun & Moon Models, Edwguard Flows for the Wii U version of Norfair. Credit goes to RandomTBush for the Pokémon Sun & Moon Models & Animations. It comes with Hazards, No Hazards, & Empty versions. It also includes SFX for each Legendary Pokémon. Update 4/16/2018: Changed the color of lasers for each one. Groudon has blue lasers. Kyogre has red lasers. Rayquaza has yellow lasers. Update 9/13/2018: Groudon has the Norfair background & Rayquaza has the Outer Space Background from Lylat Cruise & the glowing eyes are yellow. Update 4/9/2018: Changed Kyurem's Body_Ice Material Color. 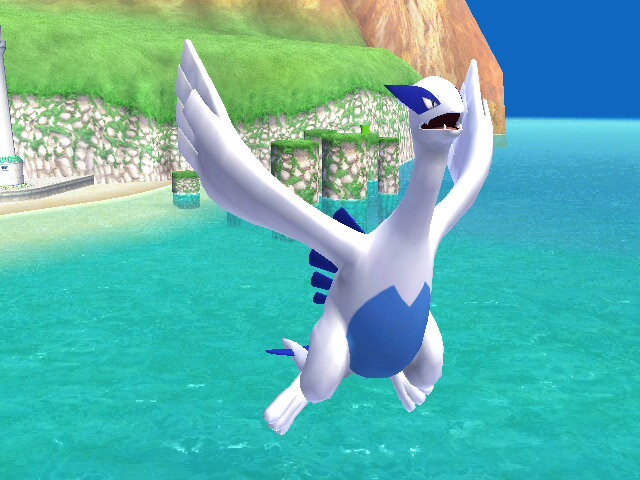 Update 4/11/2018: Added versions with Black Kyurem & White Kyurem including shiny versions. Also added a custom ocean for each version. 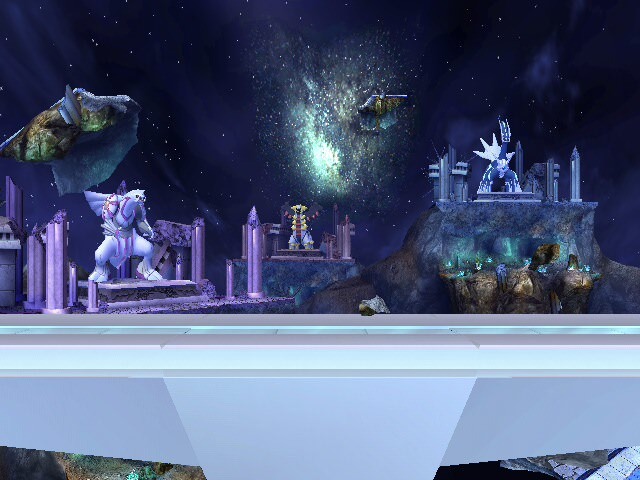 Update 6/11/2018: Revamped Pokémon Models and Stage Lighting and added Arceus version. Update 9/14/2018: Updated Enter Animations for Tao Trio. 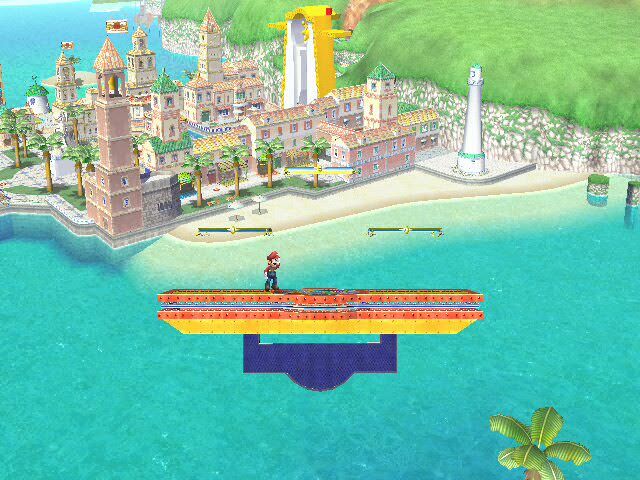 I decided to update MarioDox's Isle Delfino Stage. 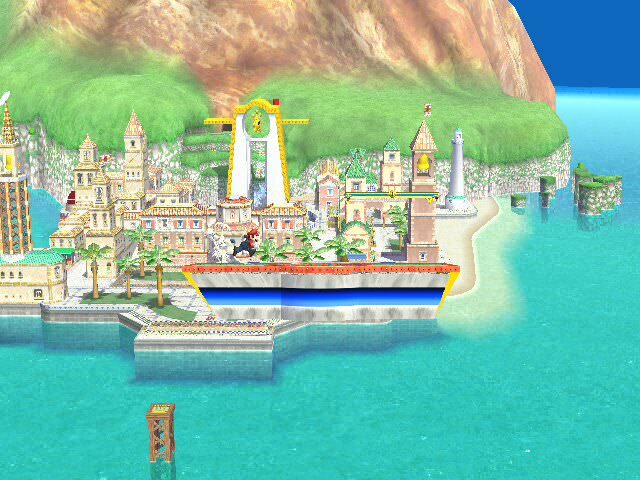 It comes with new stage lighting, Bells, Shine Sprites, Brawl Styled Version and Wii U Styled Version. Comes with original and extra elements versions. 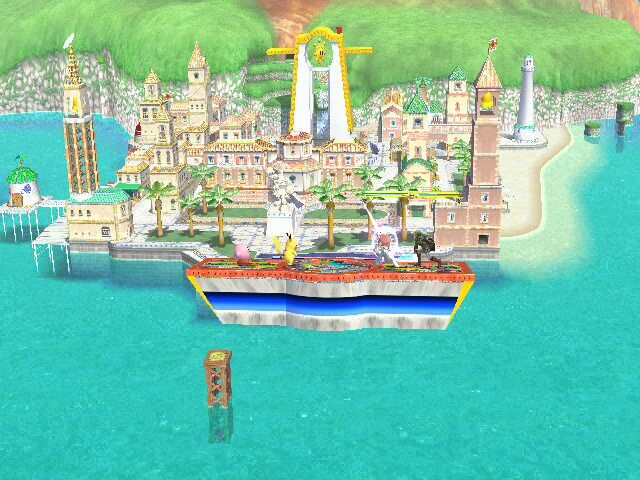 It goes over Jungle Japes and has a rel to port over Delfino Plaza. [PM 3.6] Spear Cavern V2 by E-scope12, KingJigglypuff, Moblin, davidvkimball, Puzzled, Puzzled (Glitched Account) with credit to Puzzled,KingJigglypuff, Moblin, davidvkimball, MoltenCrystal for the screenshots, & Syvkal for the Cresselia and Arceus Emblems. This is version 2 of Spear Cavern for Legacy TE. It comes with Dialga, Palkia, Giratina (both forms), Cresselia, & Cresselia with Darkrai versions. Including shiny versions. Update 6/9/2018: Added Arceus version. Update 9/8/2018: Each Pokémon has their own Emblems. 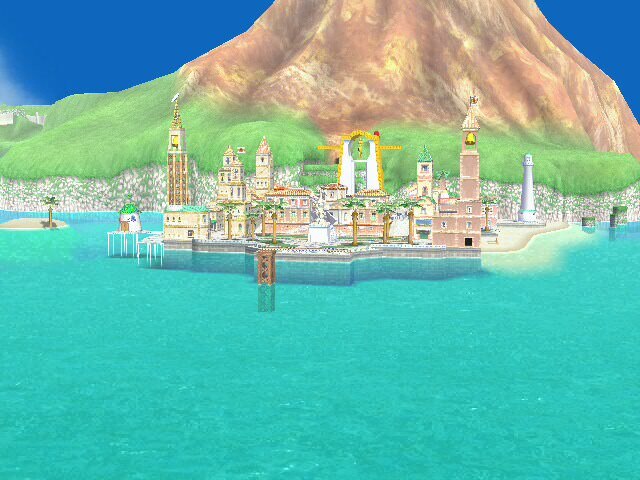 Delfino Plaza Wii U is back. 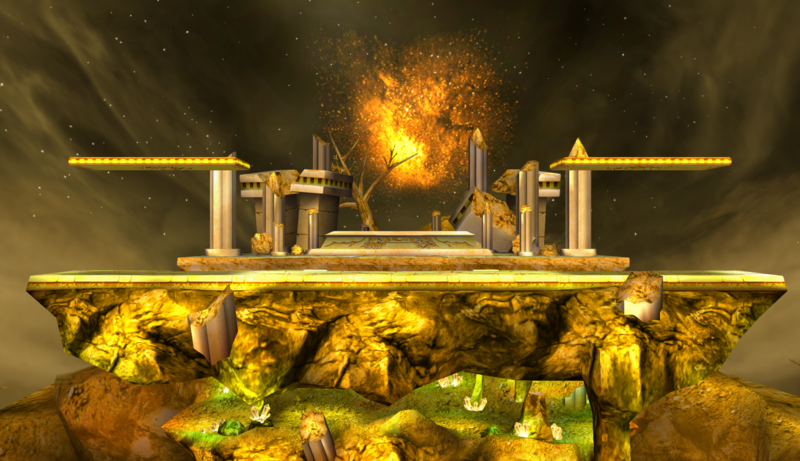 I did some adjustments to this lovely stage from Smash Wii U. It comes with my version, Edwguard Flow’s Version, Night time versions and Omega versions. Update 2/14/2018: Revamped Materials in both versions. Update 6/16/2018: Revamped The Banana Trees. FINAL UPDATE 9/8/2018: Revamped a lot of materials, got exact animation for the Omega version and Battlefield Form added for all versions. 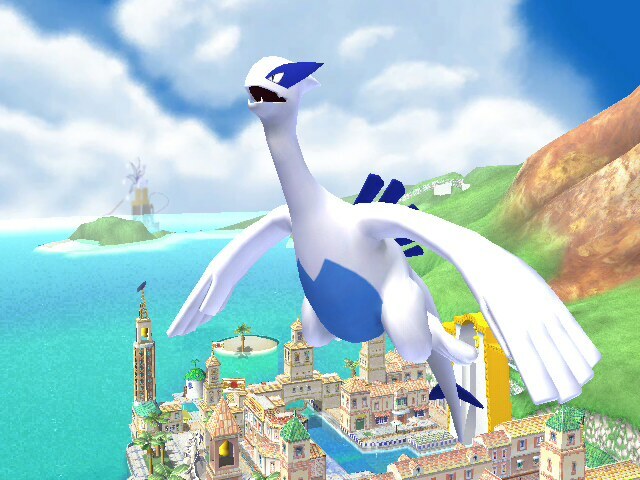 I imported Lugia into Brawl from Smash Wii U. Page created in 0.443 seconds with 137 queries.